Because we are starting to plant trees along the creek line - we need to get across. 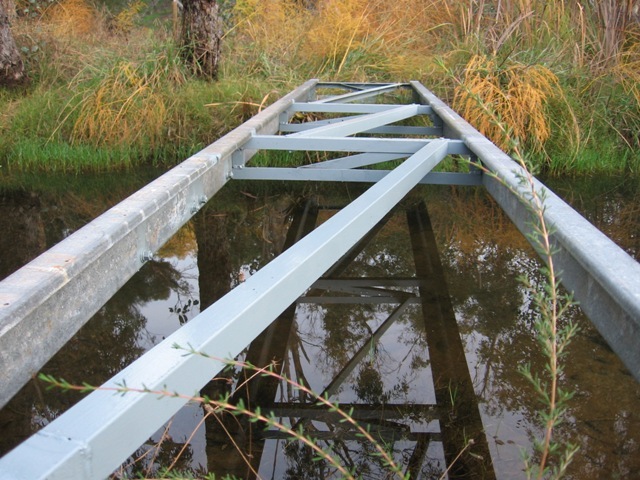 The main cost in constructing this bridge was the bolts. I cut these up and welded them together to create two lengths approximately 5m long. 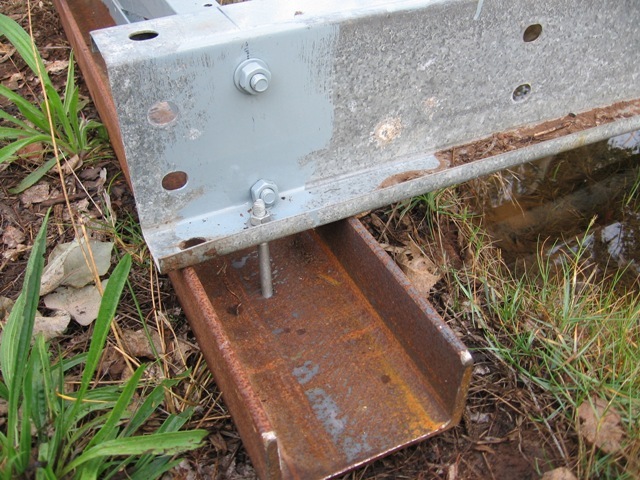 Then I reinforced the joins by bolting on some angle iron, top and bottom, over the welds. 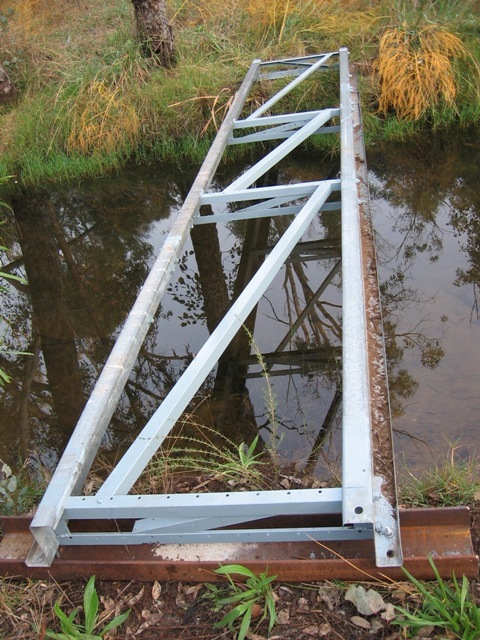 The Z purlins are held in a vertical position using 4 spacing rectanges constructed from bed frame angle iron. Each end was also bolted down to some large, heavy PFCs to act as landings.